Location is excellent, cleanliness and really friendly and helpful hosts! Great place! Very friendly and helpful host. The apartment is very clean and tastefully furnished. Highly recommended! Hôte très accueillant et à l'écoute, logement décoré avec goût, confortable et fonctionnel. Bon emplacement dans Porto. 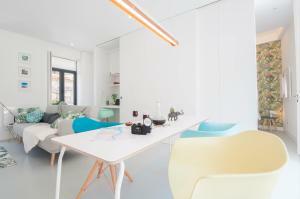 El apartamento tan bonito y muy limpio. La atención fenomenal. Понравилось абсолютно все. Просто одни из лучших апартаментов за все наши путешествия, а их было не мало. Видно, что владельцы любят, то чем они занимаются, это видно в каждой детали дома. Все продумано, функционально, но что для нас особенно важно - очень эстетично. Посуда, кофеварка Kitchen Aid(! ), мебель, фламинго в саду и фламинго на пледе, постеры на стенах, и цветовая гамма - все невероятно гармонично. Кроме того все рекомендации по местам в городе, которые они нам дали были попаданием на 100% обязательно прислушайтесь и не прогадаете. Рекомендую это место людям со вкусом к жизни и красоте. 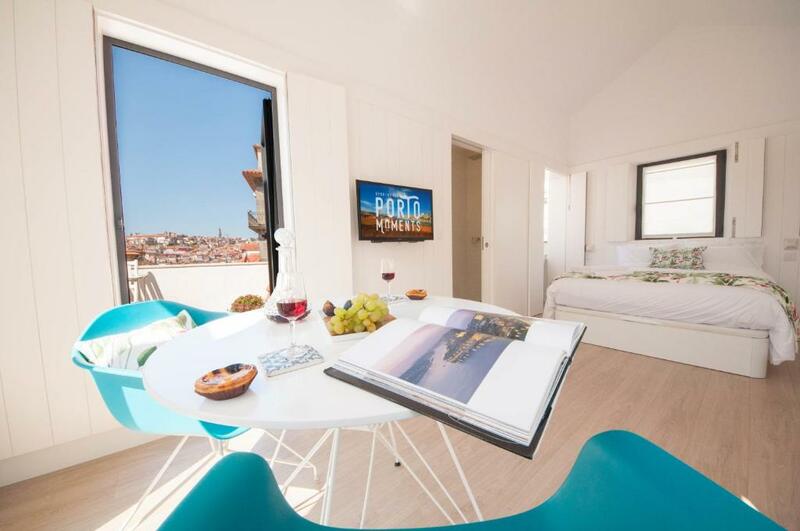 Lock in a great price for Porto Moments – rated 9.4 by recent guests! 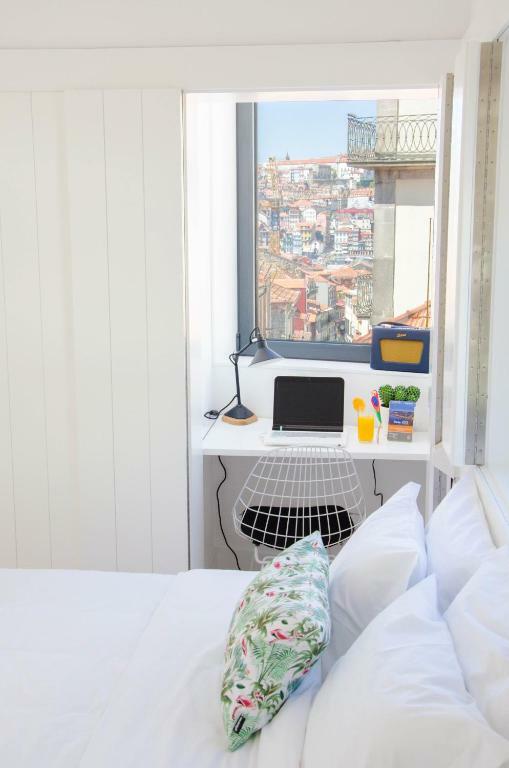 Located within an 11-minute walk of Gaia Cable Car in Vila Nova de Gaia, Porto Moments provides accommodations with free WiFi and a kitchen. El Corte Inglés is 1.1 miles from the apartment, while Arrabida Shopping is 2.5 miles from the property. Francisco Sá Carneiro Airport is 11 miles away. When would you like to stay at Porto Moments? This studio has a cable TV, kitchenware and microwave. This studio features a dining area, private entrance and stovetop. We are two travel reporters and afters years of travelling all over the world, we decided to settle in Porto. We are naturally quiet but absolutely available to share our love for this city. Our beautiful house which was built in 1893 was entirely renovated by a portuguese architect in 2017. The neighbourhood of Santa Marinha is one of the most beautiful historical districts; it is here that Porto acquired its wealth with its famous port wines: Sandeman, Graham's, Calem, Rosez, Ramos Pinto and Port Cruz; in fact, your apartment is bang in the middle of the Porto cellars. As you stroll down the narrow streets, many smells will attract your attention and hopefully lead you to a port wine tasting in a cellar or your apartment! What makes this district special is also its welcoming and smily people. Soak in the atmosphere, linen hanging from the windows, cats languishing on the hot stones and watch children, adults and senior citizens mingle happily to create the rich life of a historical typical district of the north of Portugal. The accommodation is in the immediate vicinity of public transports. From the airport you can access your accommodation by metro; just ask the trustworthy officials to help you to buy your ticket if necessary. Change to Trindade and stop either at Jardim de Morro (the first stop after the famous Dom Luis de Porto bridge), or even closer, stop at the General Torres stop. House Rules Porto Moments takes special requests – add in the next step! Please inform Porto Moments of your expected arrival time in advance. You can use the Special Requests box when booking, or contact the property directly using the contact details in your confirmation. I was disappointed the room we booked was already occupied and we were put in the apartment downstairs. This was the specific reason for selecting this property. The apartment we were given was nice but not what I had planned . There was a bad smell from the drains I think. Also it would have been nice to have a mirror outside the room so one can use it whilst the other one is in the toilet. Shelves in the bathroom would have been nice too.